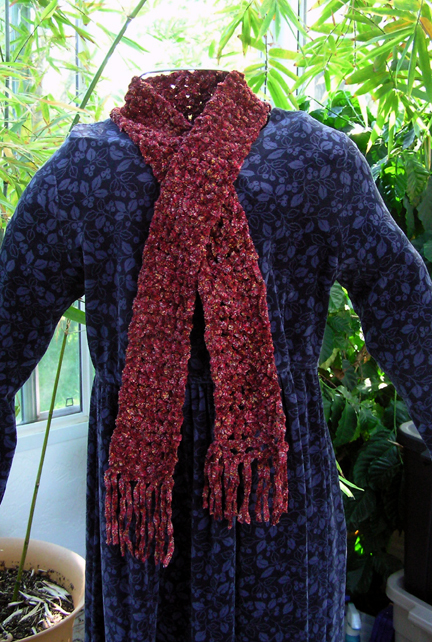 We are pleased to showcase this lovely scarf by Heather. 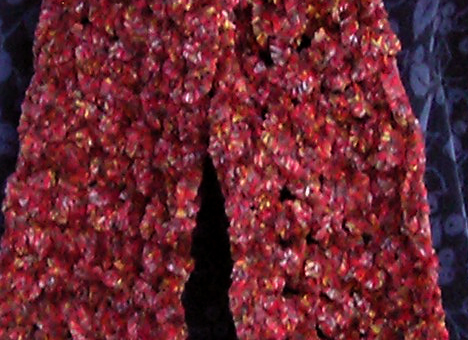 The Autumn Leaves Scarf is made with a bulky chenille yarn in autumn red with flecks of golden yellow. 91% acrylic and 9% rayon. Hand wash in warm water and dry flat.